The Royal Commonwealth Society, founded in 1868, is a network of individuals and organizations committed to improving the lives and prospects of Commonwealth citizens across the world. Working through a range of educational, civil society, business and governmental networks, the RCS addresses issues that matter to Commonwealth citizens. They are seeking a Youth and Education Programmes Intern who will provide essential support to the Youth and Education (Y&E) team. 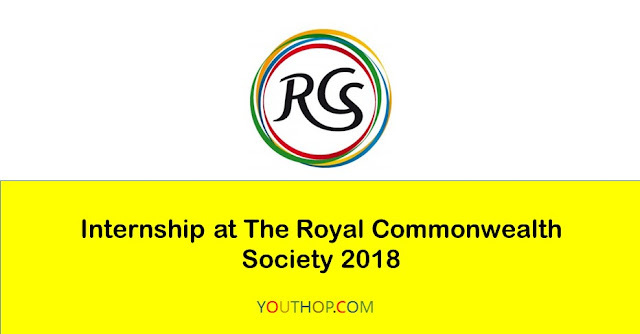 This role will involve assisting with a range of RCS Youth and Education programmes, such as The Queen’s Commonwealth Essay Competition, the Commonwealth Service and other youth-focused events in the run-up to the 2018 Commonwealth Heads of Government Meeting, to be held in London in April. The Volunteer will also help with the communications of the Y&E team.